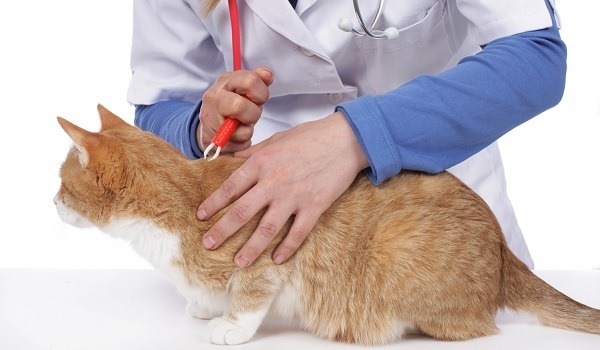 Tick Paralysis is a common disease seen in cats. The tendency for cats to roam and lack of completely effective prevention products on the market results in a higher incidence of cats presenting to Northside Emergency Vet Service with tick paralysis. The Paralysis tick can be found in many different habitats but are especially common along coastal areas of the East Coast of Australia. The North Shore and Northern Beaches are particularly affected. Ticks have very few predators. The life cycle involves 3 hosts and 4 stages. Pregnant female ticks lay up to 3000 eggs in dry leafy litter, under bark, in dense foliage. A fraction of these eggs will survive to become adults. Seven weeks later, the eggs hatch and larvae emerge. These are six-legged and approximately 0.5mm in diameter. They attach to the first host, feed for 4-6 days then drop off. A moult occurs after 3-5 weeks and they become eight – legged nymphs approx. 1mm in diameter. They feed on a second host for 4-8 days, before dropping off. Large infestations of nymph ticks can cause paralysis. Nymphs moult after 3-11 weeks to become adults. 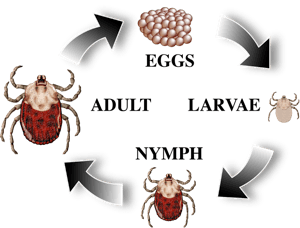 Male and female ticks mate during October and November. Adult female ticks attach to a third host and feed for up to 10 days. They fall off when fully engorged (approximately 6mm). Male ticks rarely feed on a host. They also are found on animals, however they are searching for a female to mate with. They can actually parasitise the female ticks and feed off her blood (haemolymph). Inability to move/walk. Crouching ‘commando’ gait is common. Prompt tick treatment is vital to a successful outcome. The paralysis tick is removed and the veterinarian will perform a thorough tick search and neurological assessment on admission to the hospital. Treatment involves dosing the cat with tick anti-serum (TAS) – either by the intravenous or intraperitoneal route. Cats are sedated prior to receiving TAS to minimise stress which can further compromise their breathing. In 10% of patients, we find two or more ticks, therefore we recommend a full body clip on all patients and a fipronil spray. The clip needs to include the head as approximately 78% of ticks are found on the cat’s head and front legs. Supportive care is initiated and continued as long as the cat is affected with tick paralysis (usually 3-5 days on average). IV fluid therapy is important as many of these patients have not eaten or have vomited for some time prior to arrival to the hospital. This will prevent dehydration in these compromised patients. Oxygen therapy can be beneficial to some cats to support breathing and help avoid muscle fatigue from the increased effort associated with breathing. Feline patients are particularly susceptible to upper airway obstruction from laryngeal paralysis and this can be exacerbated by stress. It is important in patients showing evidence of a compromised upper respiratory tract to minimise stress. Many of these cats benefit from infusions of sedative medications to help them rest and breathe at a comfortable rate and with a normal pattern. Cats should be kept indoors for two weeks after discharge. Feeding and appetite should be closely monitored and patients should be observed for approximately 10 minutes after eating. Regular tick search’s (at least once daily) should be ongoing in the home environment. Urination should be carefully monitored and any difficulties or concerns should be reported to the Veterinarian. With appropriate care, the majority of cats have a good prognosis with survival rates described up to 95%. Should they deteriorate to requiring mechanical ventilation and life support, survival rates sit at about 50%.